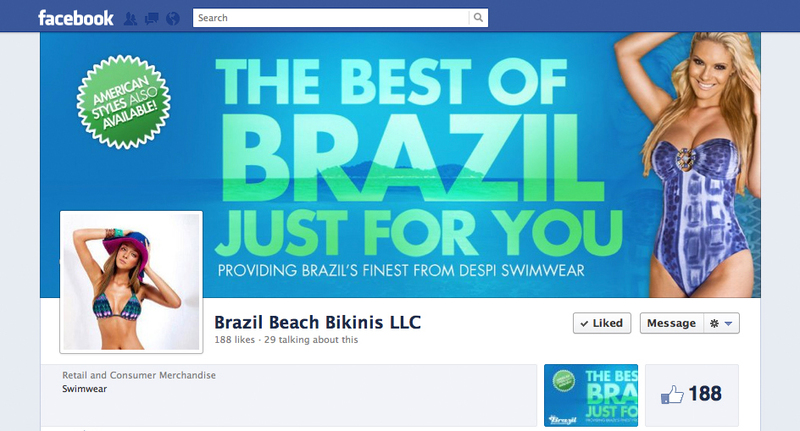 Brazil Beach Bikinis, an online retailer, selling the best in Brazilian bikinis by Despi Swimwear, asked us to create a print advertisement for the launch of their new website. We also used the design as a cover photo for their Facebook page. "The Ryan Orion Agency implemented their skills and great customer service in creating an appealing, friendly flyer for us. The prices were fair and we couldn't be happier with the final result."